Have you insured your pet yet? You have a cute and cuddly little dog that is so endearing and loving that you cannot think of living without him. But what happens if he falls seriously ill or meets up with an accident while you were walking him down the road? You have a cute and cuddly little dog that is so endearing and loving that you cannot think of living without him. But what happens if he falls seriously ill or meets up with an accident while you were walking him down the road? Nothing to worry, if you have insured your dog – the insurance company will pay for all the medical treatment expenses so that your cute little doggy will be back on his/her feet at the earliest. Pet insurance is available for domesticated animals and birds such as dogs, cats, horse, parrots, etc. These policies are customised by the insurance companies as per the needs and wishes of the pet owner and cover medical treatment of the pet for illnesses and injuries caused by accidents. Some policies also cover death or loss of pet due to theft or other reasons. There are three types of pet insurance policies, namely, life-time cover, time-limit cover and money-limit cover. Life-time cover provides insurance cover against critical/long-term illnesses. Under this policy, the insurance company pays a specified amount every year for the treatment of the pet. The time-limit policy, as the name suggests, provides cover for a specified time limit after the pet contracts any illness or suffers injury. The money-limit cover specifies the limit of money to be paid by the insurance company to the pet owner to meet the medical expenses for the treatment of the pet. This cover is available till the money limit is reached. The sum assured of the insurance policies in the case of pets such as dogs and cats ranges between Rs 15,000 to Rs 30,000, depending on the breed of the pet and other factors. Some policies also provide third party liability cover to protect the pet owner from the financial liability arising from the pet biting or physically attacking a third party or causing loss or damage to the property of the third party. 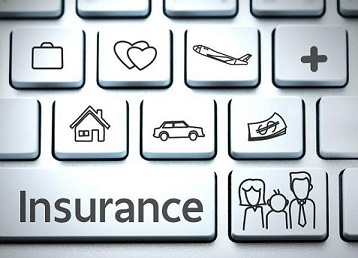 Insurance companies in India offering pet insurance include New India Insurance Company, Oriental Insurance Company, United India Insurance Company, Future Generali, etc.